Look at that shimmer! 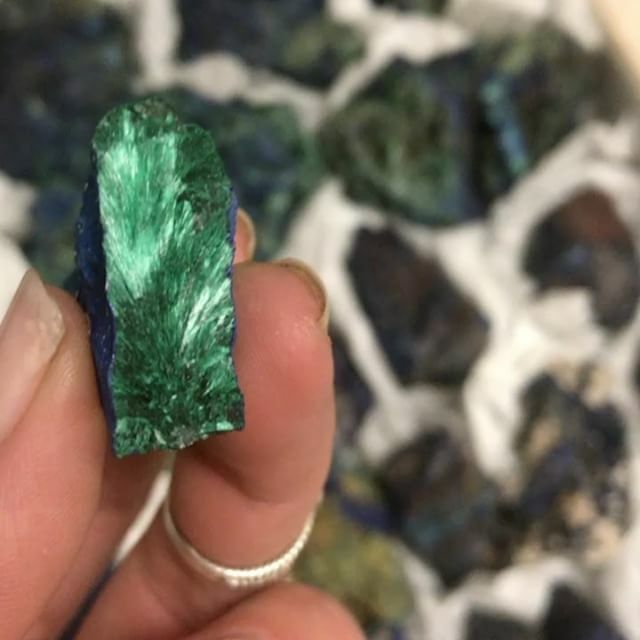 Velvety fibrous #malachite and deep blue #azurite from the Congo. They just glow with the purity of what they are. #kingsandqueens.